In the aftermath of Morgan le Fay's war on Camelot, the once great kingdom struggles to rebuild. Knights scour the world, attempting to restore the Round Table's glory by locating Avalon and the Holy Grail before the dreaded Black Knight can do so first. Vivienne, Merlin's former apprentice, toils in secret day and night on orders from the Lady of the Lake to build an aeroship. The Lady has seen the future and promised that the ship will ensure Camelot's knights succeed in their quest. 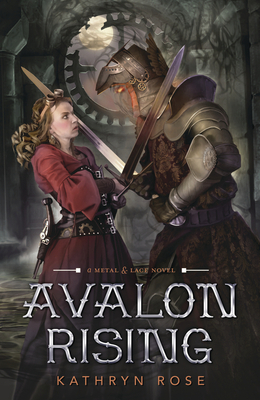 But when a company of knights goes missing--including Owen, Vivienne's brother, and Marcus, her beloved--Vivienne changes the plan and commandeers the aeroship for a rescue mission, altering the fates of all involved. Now, the Lady sees danger in Vivienne's future. And for Marcus, either betrayal or death.